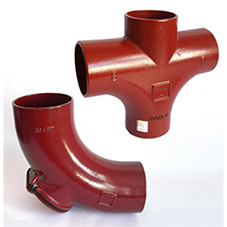 Saint-Gobain PAM has utilised the latest in 3D design and printing to create a new low connection multi-waste cast iron manifold, aimed at tackling the drainage challenges faced by contractors building high-rise structures. 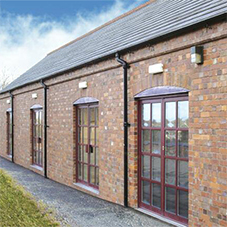 The new manifold addresses the trend towards walk in showers and wet rooms, whilst also recognising the squeeze on distances between floors and smaller ceiling voids in which to fit services and make the necessary waste water connections. 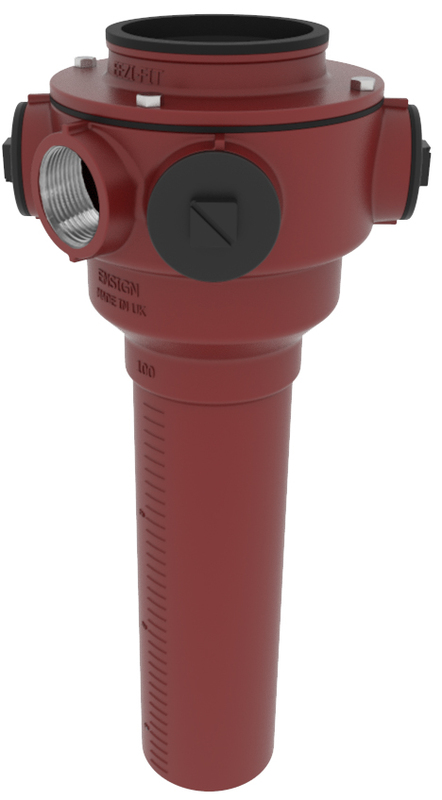 The new low connection multi-waste manifold is available initially in 100mm diameter but will be closely followed by 150mm diameters by the end of March. The fittings offer up to six 50mm/2” BSP waste inlets and have been flow rate tested by CRM Rainwater Drainage Consultancy. The 100mm unit has been tested to a vertical flow of 1.8 l/s which is consistent with a 6 l/s WC flush and all six 2” waste inlets at a flow of 1 l/s at the same time. 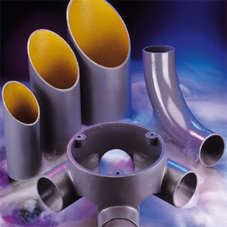 The manifold has an internal baffle to eliminate any cross flow. 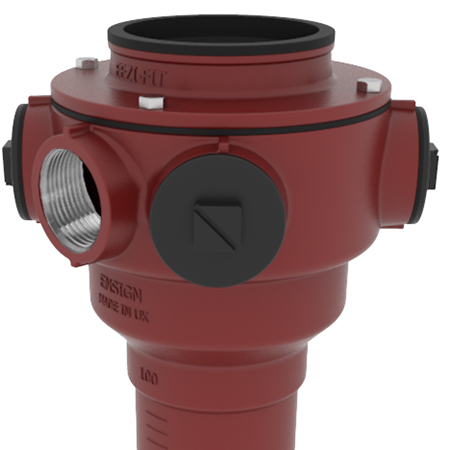 Designed for easy installation, the 2” waste inlets comfortably fit in the ceiling/floor area and an extended spigot accommodates a floor slab of up to 400mm without the need to make connections. The spigot has 10mm cut marks to make it simple to cut to length. Both the 100mm and 150mm diameter manifolds minimise the core hole diameter, fitting into a 200mm or 225mm hole respectively. The new cast iron low waste connection manifold is available in both the Ensign range with mechanical joints and the fast installation EEZI-FIT range with its push fit connections to product standard BS EN 877.